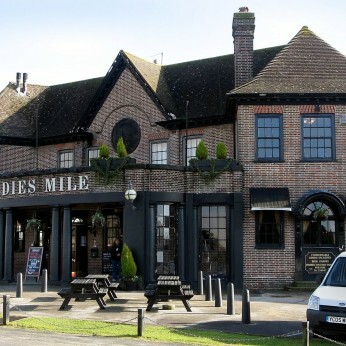 The Ladies Mile is the epitome of a true Community Pub! And with new ventures in the Kitchen it has really moved with the times and is now serving fantastic, edgy pub grub. Paul and Gayle make every person welcome from the moment they walk through the amazing Art Deco front doors.